We Fight Harder For Your Rights. Top Broadmeadows Lawyers. Call Us Now. 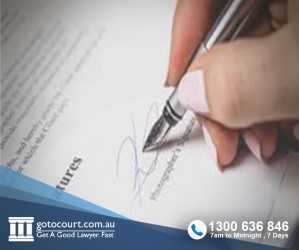 At Go To Court, we work with the best civil lawyers in Broadmeadows that you’ll find. We know how frustrating it can be to try to find a good solicitor for your legal needs, and that’s why we’ve developed an outstanding network of the highest calibre of legal professionals in the area. You have the right to proper legal representation, and Go To Court is here to help finding the right lawyer easy. Without our services, you could spend days or even weeks searching through lawyers in Broadmeadows and trying to find a referral. Instead, you can simply contact our professionals and we can make this process quick and smooth. When you’re looking for civil lawyers in Broadmeadows, you want someone who will be honest with you from the very beginning. Someone who will give you nothing but the facts and help you choose the best option for YOUR unique situation.